Le Meridien Hotel Chiang Mai and Italasia hosted the Aperol party at the Plunge Pool Bar at Le Meridien Hotel Chiang Mai on Saturday, November 23, 2013. 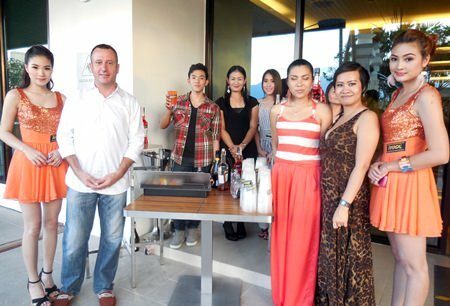 The Pool party featured DJ KC from Bangkok and saw many local residents as well as hotel guests attend, sip on Aperol by Campari and eat the delicious spread of sushi, grilled meats and seafood and other tasty food on offer. Morris Dash, Branch Manager of Italasia is joined by Kittima Krudsuk, Sales and Marketing Manager of Italasia and Rojjana Gatasai, Assistant Manager of Italasia with the bartender pouring glasses of Aperol for guests. 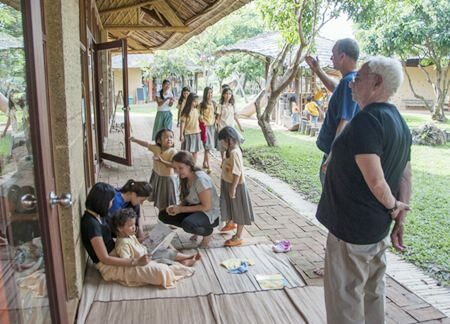 World-renowned architect, Frank Gehry, was in Chiang Mai recently to visit bamboo factory Chiangmai Life Construction as well as the bamboo and earth Panyaden School built with bamboo and earth by the company. Markus Roselieb, owner of Chiangmai Life Construction took the Pritzker Architecture Prize winner on a short tour of both places. The 85 year-old architect was accompanied by Pansak Vinyaratn, Chairman of Thailand Creative & Design Center (TCDC) and Chief Policy Advisor to the Prime Minister as well as other members of TCDC and Thaicom Foundation. 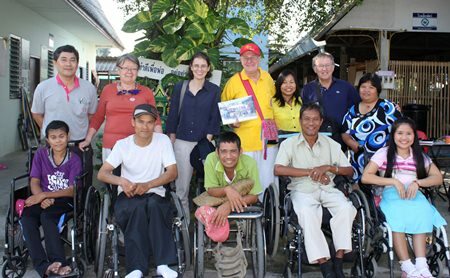 On Monday November 25, 2013 Mrs. Marianne Wellenbrock from Northern Germany presented 164,000 Baht to Mr. Ratthee, head of the Tawan Chai Foundation at their Learning Center for Disabled. Mrs. Wellenbrock collected this amount privately little by little over a period of more than three years in her hometown of Soegel. 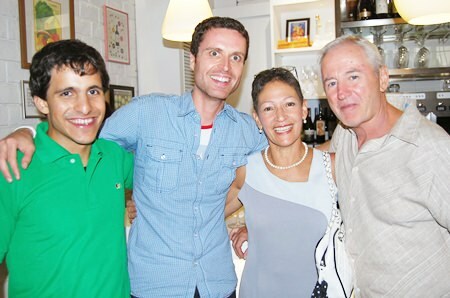 Mr. Michael R. Boeder from Helfen Germany, who is also involved in helping the Learning Center is also present. Tawan Chai reaches 300 disabled people in different districts like Om Koi, Mae Wang. Just recently a volunteer, working for Helfen-Germany at Schools of Hope in Arunotai /Nong Ook raised 265,000 baht for the school so that Tai Yai children can go to school. 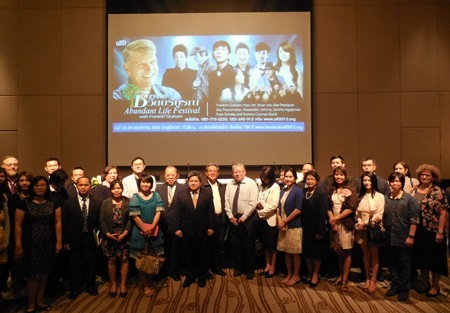 The Abundant Life Festival held a press conference at the Kantary Hills Hotel with Franklin Graham, the head of the Billy Graham Evangelistic Association and members of local churches to announce the Abundant Life Festival that was held from November 22 – 24 at the 700 Years Stadium. Over 350 Northern churches participated in the organization of the event which saw thousands of Christian faithful from around the North to hear Franklin Graham speak on Christianity. 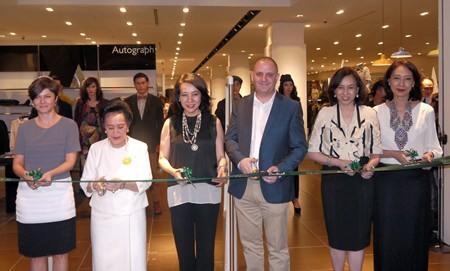 Joshua Pycroft, Vice – President of Marks & Spencer is joined by CPN executives and Chao Dr. Duangduan na Chiangmai, President of the Chiang Mai Culture Council in cutting the ribbon to launch the grand opening of the largest Marks & Spencer in Thailand on the first day opening of Central Festival Chiang Mai on November 14, 2013.